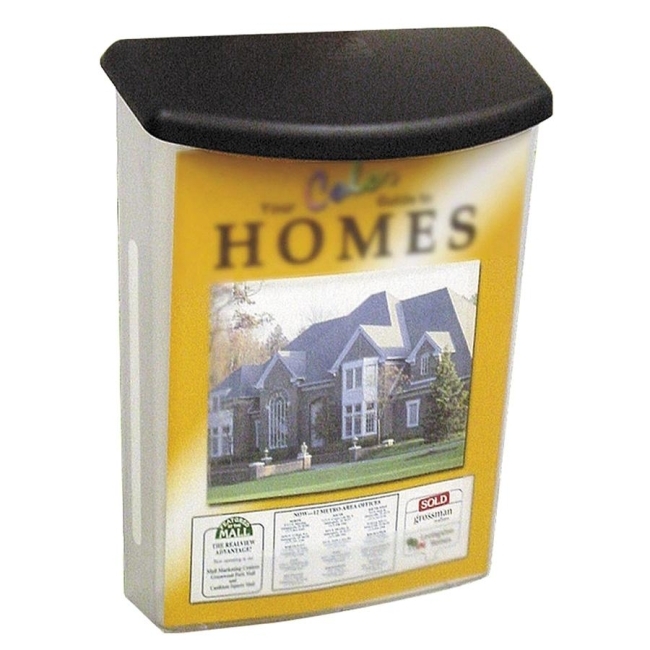 Durable, plastic outdoor box is break-resistant and weatherproof. Fits a variety of poles and posts. Roomy enough to hold an abundance of letter-size, legal-size and A4-size documents. Clear design lets you easily view literature inside. Black lid protects contents. Outdoor box includes plastic ties and screws for mounting.